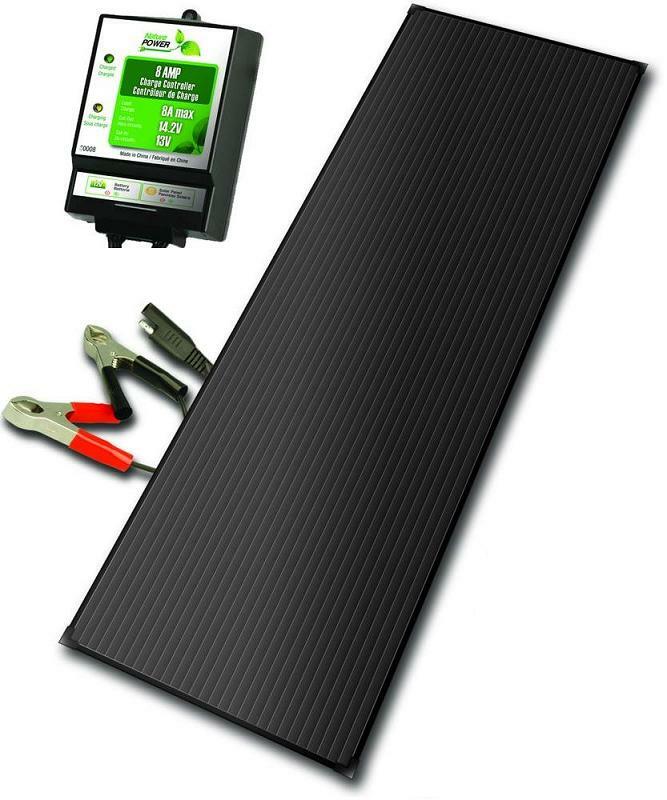 This solar battery charger kit uses the sun’s energy to collect 18 Watts of energy while the charge controller delivers the power to your rechargeable 12 Volt battery. Equipped with a built in blocking diode that prevents the reverse flow of electricity for the most efficient charge solution. The amorphous solar panel is designed to work in all light conditions even on cloudy days. Easy to install, just position the solar panel in an area that will receive direct sunlight, the included 11 feet of cable will allow you to place the panel in best possible position. The solar panel can be mounted to most surfaces for a permanent charging option or use the included tilting poles for a more portable charging option. This solar battery charger kit is perfect for use with cars, boats, tractors, RVs, motorized sports vehicles, deer feeders, waters pumps, and any other device powered by a 12 Volt battery. High quality amorphous solar panel up to 18 Watts and 1200 mA. 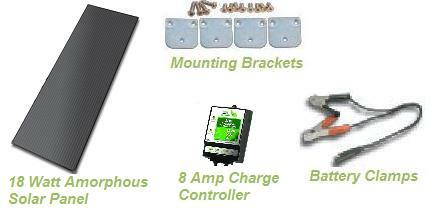 Kit includes Nature Power 8 Amp Charge Controller can handle up to 130 Watts of solar array.